Despite the massive success of OS X 10.8 Mountain Lion, I am sure there are some that are not happy with certain aspects of the new OS. 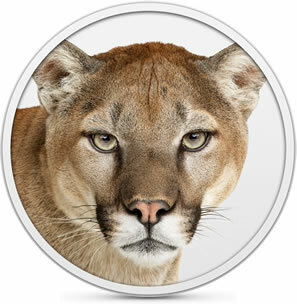 If this sounds like you or you would like to customize your Mac computer running Mountain Lion to a tee then you will want to check out the app Mountain Tweaker. This tool was actually around during the release of OS X 10.7 Lion and was called Lion Tweaks. The developer, Fredrik Wiker has given the app a makeover however, and included Mountain Lion specific tweaks to make his Mac OS X tweaking tool better than ever. After the success with Lion Tweaks, helping hundreds of thousands of users in OS X Lion – Mountain Tweaks is set to do the same with Mountain Lion. The release focuses on a user friendly user-interface, even more tweaks and the ability to do simple maintenance on your Mac – we think this makes it the best tweaking tool for Mac, ever! It works with both Lion and Mountain Lion. At this point in time there is only a few Mountain Lion specific tweaks available to play around with like disabling Gatekeeper or removing leather from the Contacts. As more are found however, they will be added in a future update. You can take a look at the official list features below. That is a truck-load of features, is it not? If you are interested in giving Mountain Tweaks a try you can download version 1.0 by clicking the download link below. What do you think of Mountain Tweaks? What have you tweaked on your Mac computer? Share your responses in the comments section.